Farsley Celtic FC Academy in partnership with Allerton Grange High School is a great opportunity for aspiring football players to tie full time education in with full time football in in one place. On this course our focus is to develop players to become an all round better player, with training every day by our UEFA B Licenced coaches. 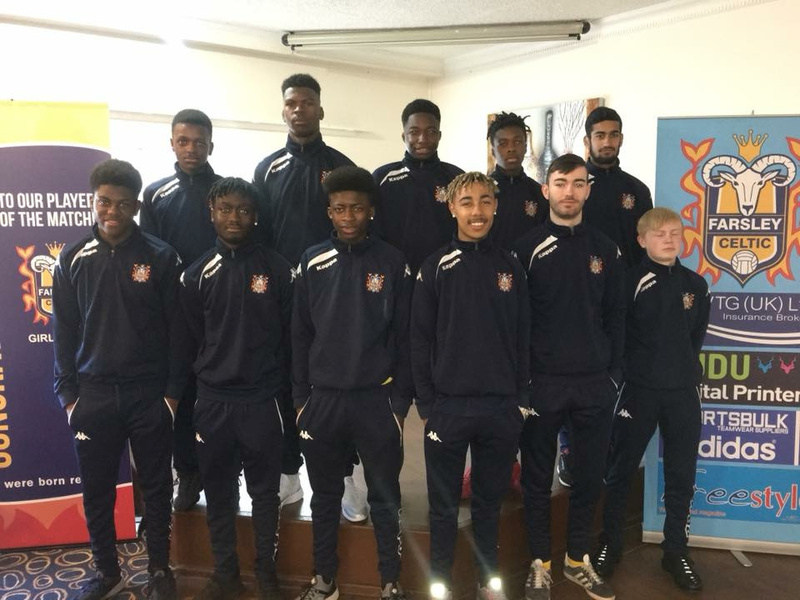 Our academy plays our league matches in the National Under 19’s Alliance League. The league is full of well established non-league and professional clubs and is a great standard for players to play at. Our Academy team each season plays in the prestigious FA Youth Cup. Farsley Celtic FC have partnered with Allerton Grange High School to provide all our education for the programme. The lessons will be held at Throstle Nest every day by our onsite teacher. Working with Allerton Grange High School allows us to gain the wealth and experience of a great and well established school to ensure that our players gain the best education possible. Throstle Nest is a great footballing and educational facility for young players. At Throstle Nest we have our main pitch which inside our stadium holding 3000 where all our home games are played. For training we have 3 grass pitches along with our indoor sports hall, so we can train what ever the weather. The Club has a partnership with ProFit 28 Gym in Farsley which allows us access once a week to take the players down to gain fitness from there professional instructors. We are holding our second open trials on Monday 5th February 2018 starting at 6.30pm, there will be a short presentation and a trial match on the main pitch under floodlights. Why not come join us and see what its all about and meet the coaching staff and players. It would be great to see you.